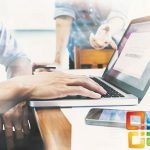 This one-day course is designed to: Help you obtain the basic skills required to create simple documents using Microsoft Word. A delegate will learn to create, edit, format, print and review short documents such as letter, memo’s and reports. Who should attend? 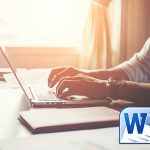 The course has been designed for delegates wanting to obtain basic skills in using a word processor to create, format, and print basic documents, such as letter, memo’s and reports. PST Training has been assessed and ACCREDITED as having satisfactorily met the MICT ETQA Specified Training Provider criteria.